The Browns are still very much a work in progress, but it’s hard to think that the team is going to be any worse than 2016 when they won one single game, beating the then San Diego Chargers on Christmas Eve. While they are going to be very young and have a ton of draft picks that will see playing time, that’s not stopping one Browns vet from going on record to say that Cleveland is a team that should not be taken lightly this season. 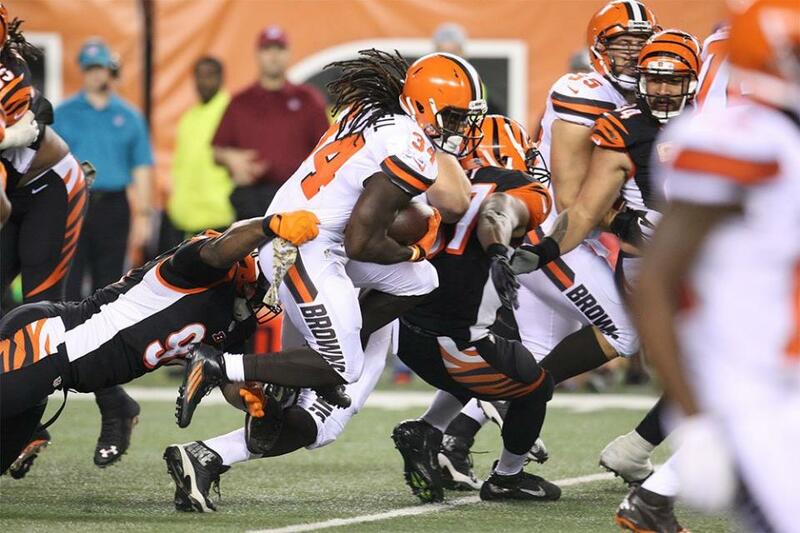 That player is running back Isaiah Crowell, who last season ran for 952 yards and seven scores, which included an 85-yard run that was the longest in the NFL. Crowell spent the weekend in Columbus, Georgia where he grew up, hosting a football camp, and when asked about the upcoming season wasn’t shy about his prediction as to how the Browns are going to turn some heads. Sure the Browns added what looks to be solid talent with the NFL Draft in April, but to say the team is going to ‘shock the world’ could be a little far reaching for a team that won a game last year. That’s not stopping Crowell from feeling good about where the club is at.